Brazil’s crippling nationwide truckers strike is into its sixth day, but road blockages are starting to wind down after the government deployed armed forces to break up hundreds of blockades and a key truckers’ association asked its members to back down. Some fuel and food has started to be delivered. It’s unclear for now whether operations will be fully normalized by Monday. The government said Federal Highway Police personnel had removed about 132 road blockages through early Saturday of the 519 in place late Friday, according to Globonews, citing preliminary numbers. Government secretariat minister Carlos Marun declined to provide exact totals. 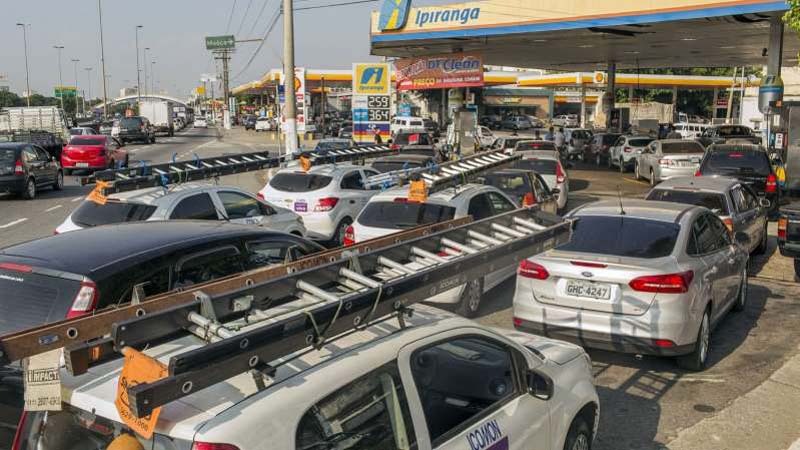 Local media reports have shown fuel cargoes arriving with police escorts at gas stations in some municipalities in northeastern Brazil. Fuel and other supplies have also started to flow to high-priority services, including public transportation and hospitals. Marun said the government is still concerned about health services. Inventories of critical medicines have been depleted, and chemicals to treat water for human consumption are also short, he said. “Despite chicken deaths, President Temer is more concerned on human beings’ lives,” Marun said, adding that the government could fine truckers who continue to withhold supplies from hospitals. The government is fining transport companies and drivers that still block roads, and is investigating the participation of cargo transport companies in the self-employed drivers strike, which is prohibited by Brazilian law. "The Federal police have already requested the arrest of some businessmen,” Marun said. Road blockages in Brazil’s southern regions, its most populous areas, were still mostly intact early Saturday. Truckers angry about the high price of diesel fuel continue to line up on the side of the roads, while airlines are still canceling flights amid lack of fuel at some airports, including in Brasilia, the capital. Fuel shortages are now being eased at airports in Sao Paulo, Porto Alegre and Rio de Janeiro states, Marun said. In Mato Grosso state, the nation’s largest soybean producer, the number of blockades remain unchanged from the past few days, with roads obstructed at about 30 points. Exporters have started to declare force majeure on soybean cargoes. Blockades continue even after Abcam, Brazil’s main truckers’ association, recommended that its members free highways, and instead continue peaceful protests, out on concern that use of armed forces would harm drivers.